Come Spend A Day At William Penn University! We invite you to spend a day on the William Penn campus in Oskaloosa. Our Admissions team will tailor your visit to meet your needs and interests. A campus visit is a great opportunity to visit with our students, talk with a faculty member about your academic program, and consult with Admissions personnel. During the academic year, you can attend a class, take a tour, have a meal in the dining hall, and even spend the night in a residence hall if you wish. 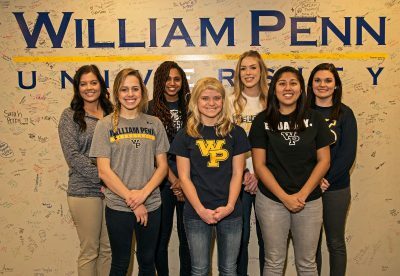 The William Penn University Student Ambassadors is a volunteer organization dedicated to providing prospective students and their families with campus tours while visiting the Oskaloosa campus. These students maintain high GPA standards and are often involved in many other organizations and activities, giving them a well-rounded knowledge of WPU and the overall college experience. 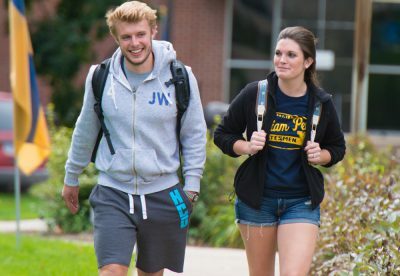 Contact our Admissions Team today to get started on the application process, schedule a campus visit, or to find out more about William Penn University and what we can offer you. We look forward to hearing from you! Call 800-779-7366 or email to set up a time that is convenient for you to visit.